This April will see a fundamental change in the way that dividends are taxed, with the introduction of a tax free allowance of £5,000 and the abolition of the notional 10% tax credit. This article will provide readers with examples of what this change means in practice – of particular interest to those studying for any of the CII CF1, R02, R03, R06, J03, AF1, AF2, AF4, or AF5 exams. This change will see the end of grossing up figures before applying the higher rates of tax that we have, so far, had to do in any exam question on dividend taxation. With the 10% dividend tax credit being abolished, no tax is deducted at source, and any tax that needs to be paid will be done through self-assessment. Anyone receiving dividends will have a £5,000 a year tax free allowance. However, this will not reduce total income for tax purposes (as the personal allowance does) and only applies to dividends. At the moment dividends are received with a 10% notional tax credit and if someone is a basic rate taxpayer the 10% satisfies their liability. In the future dividends over £5,000 will be taxed at 7.5% and dividends within the £5,000 allowance still count towards the basic or higher rate bands and so may affect the rate of tax paid on dividends above £5,000. Reading about the changes to dividend taxation that will occur this April. John has a salary of £18,000 and receives dividends of £20,000 from a share portfolio that is not held in an ISA. From April £11,000 of his salary will be covered by the personal allowance and £7,000 will be taxed at 20%. 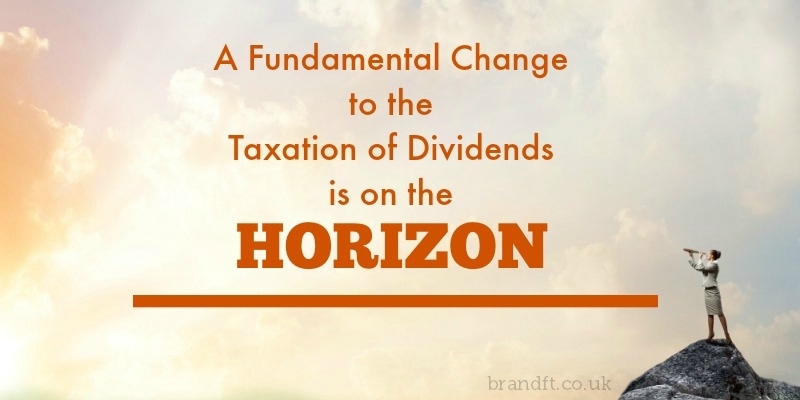 The dividend allowance covers the first £5,000 of dividends and the rest is taxed at 7.5%. Jim has a salary of £40,000 and receives dividends of £10,000 from a share portfolio that is not held in an ISA. From April £11,000 of his salary will be covered by the personal allowance and £29,000 will be taxed at 20%. The basic rate threshold from April 6th 2016 will be £32,000 so there is £3,000 of the basic rate limit left (£32,000 – £29,000) which is covered by the dividend allowance. The £2,000 of the allowance remaining is then set against the higher rate band. So his £10,000 of dividends are covered up to £5,000 by the allowance and are not taxable which leaves the remaining £5,000 still to be taxed at 32.5%. As a result of the changes, smaller businesses that pay themselves a small salary topped up with dividends may need to re-think the way they receive their pay. There will still be a saving by working through a company but the benefit will be reduced from April. Let’s assume that someone takes a £11,000 salary and £50,000 in dividends. The £11,000 is covered by the personal allowance. The first £5,000 of dividends is covered by the dividend allowance. The next £27,000 is taxed at 7.5% and the remaining £18,000 is taxed at 32.5%. The total tax liability is £7, 875. This year the tax liability would have been £5,348 found by grossing up the £50,000 by the tax credit and applying 10% to £31,785 and 32.5% to the balance and then deducting the tax credit. It is clear that owners of small limited companies will take a hit in April although they should still be better off than they would be if operating as a sole trader. However anyone considering incorporation after 6 April will need to consider even more the tax savings particularly as there are more costs associated with operating as a company. You should also note that dividends paid on shares in pension funds and ISAs continue to stay tax free and the savings allowance that also comes into effect in April excludes dividend income. If you’re studying for your CII R02 exam, and you’re wanting to feel confident on exam day, grab our free taster to try out one of Brand Financial Training’s resources for yourself. Click the link to download the R02 mock exam taster now! Alternatively, you can try the taster for any of CF1, R03, R06, J03, AF1, AF2, AF4 or AF5 if you’re studying for one of those exams. Do you feel confident in answering questions on dividend taxation? Was this helpful? Let us know in the comments!